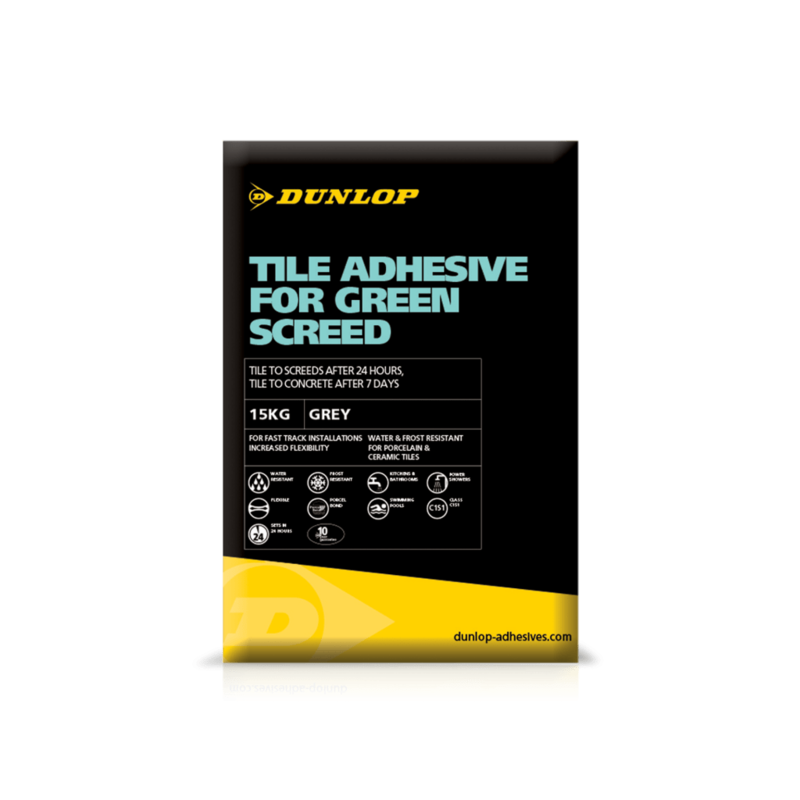 DUNLOP TILE ADHESIVE FOR GREEN SCREED is a highly polymer modified powder adhesive which allows for the fast track application of tiles to newly laid concrete or screed. The floor tile adhesive has enhanced adhesion on low porosity backgrounds with increased flexibility to allow for movement and shrinkage when the background continues to dry. Suitable for use with porcelain tiles. Floor tiles can be applied to new screed after 24 hours and new concrete after just 7 days. Depends on the nature and flatness of the surface and the method of application. On a level background the amount of adhesive required at 3mm thickness will be approximately 4kg per m².